Technology is rapidly advancing, and it is making our lives easier. Over the past few years, people have been using a bunch of software to record sound. They had to use a program for every function that they were seeking, like for recording, editing and selecting the format. Thanks to technology it has been changed and now several sound recorder software is available that have all the features you require. 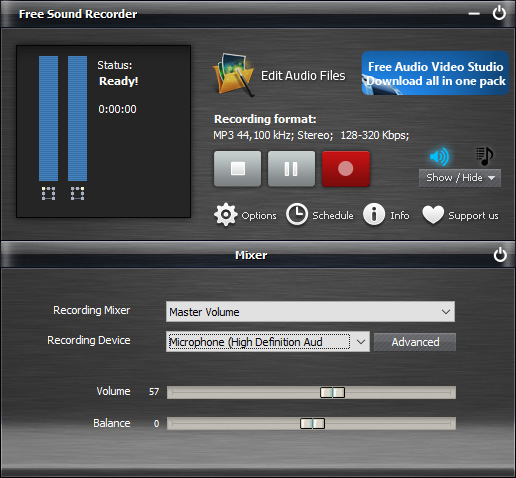 Here we have top 5 free sound recorder software for Windows PC. 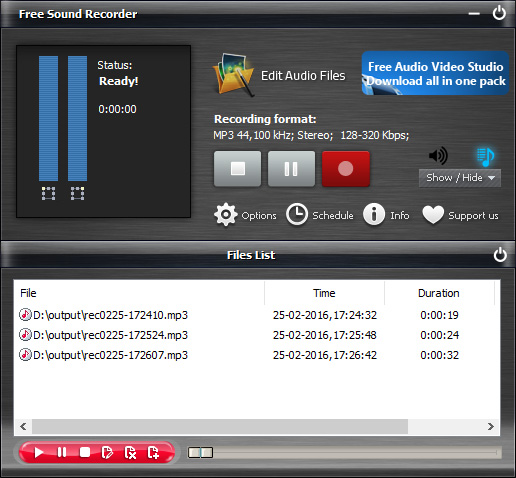 Free Sound Recorder is one of the most famous audio recording software with history of over 10 years. It has grabbed the attention of customers with the reliable services and innovational features. The software has been developed with the latest features to assure that you will get the best facilities. It has a user-friendly interface that will allow you to quickly learn how it works. The biggest attraction of the software is that it will allow you to record your favorite sound from anywhere you want. It can be online podcast, video, CD or your own voice through the microphone. 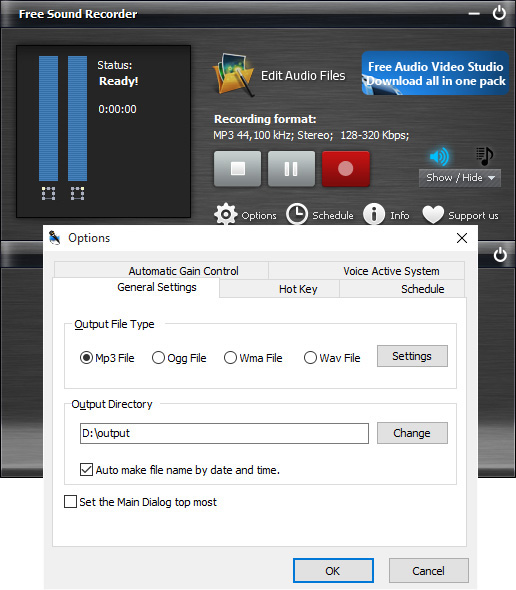 It is compatible with all platforms and you will get the access to some of the editing features that will allow you to select the format of the sound even before it is recorded. 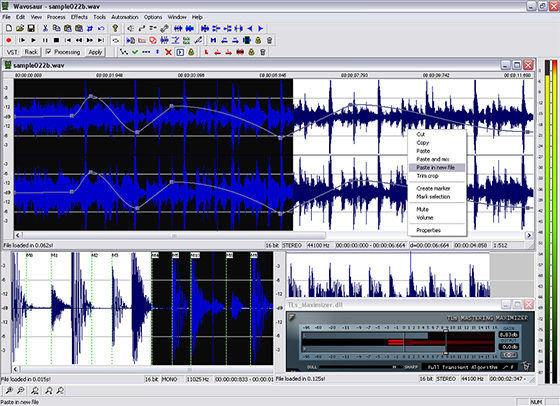 There is no need to use several other software for editing sound. Free Sound Recorder is available free. There is a time schedule that will allow you to schedule your time according to the timing of the online episode. It means there is no need to sit and wait for the recording to start. It is a secure software that will allow you to manage everything efficiently. In order to perfect record the sound using Free Sound Recorder, here we have the complete guide to help you out. Access the software on your desktop and open the show mixer window. Here you will select the source from where you want the audio to be recorded. There is a huge list of sources available that will make the process easier for you. After that, you have to click on the option of recording device. It will allow you to adjust the volume and balance of the sound you are planning to record. Click on general settings from the options window. It will allow you to select the output format of the sound that you want to be recorded. Now select the option of settings if you want to include any personalized changes to the sound. In the end, click on change. It will allow you to select the name and folder of the file. You can click the start and stop recording option to finalize the recording. Now you will notice that the recorded file will appear in the output file list. Here you can access and listen to the sound to check if it has been recorded properly. 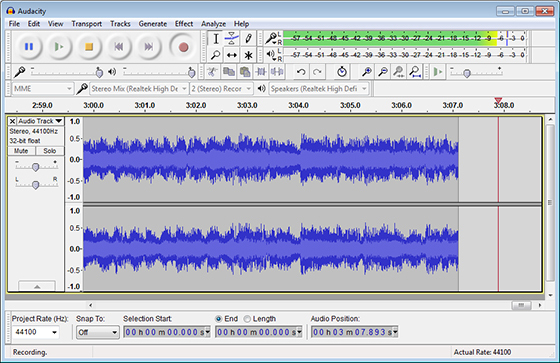 Audacity is a decent free sound recorder software that will allow you to record different types of sounds. It will allow you to record, edit and save the files so that you can use them anytime you like. There are several amazing features and the best thing is that you will get everything free. There is no need to spend even a single dollar on the expensive software when you can manage everything with Audacity. Once the files have been recorded you can save it to any folder that you like. It is very easy to install and use. 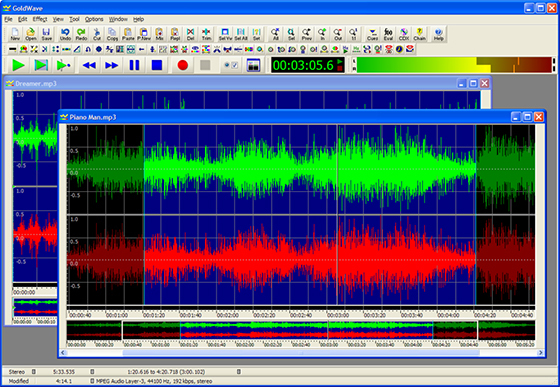 If you are looking for a piece of easy to use free sound recorder software, Wavosaur will be a perfect choice. It has been developed with some of the latest features. You will get different facilities in the software like recording change over, resample the sound, vocal evacuation, insert, crossfade circle, auto recognize the area, noise remover and much more. You can select the features that you like and have the best quality results every time you are done with recording the sound. The more you will use the software the more you will fall for it. However, the only drawback is that it might cause some compatibility issues with the PC. Gold Wave is one of the best free sound recorder software that will make the entire process easy for you. Once you have downloaded the software on your PC you will notice that how easy everything will get. Within seconds you will be able to record any sound you like. It has a richer quality and all the highlights will be recorded. There are special tuning features available in the software. It means that there is no need to download any other software to manage your recordings. 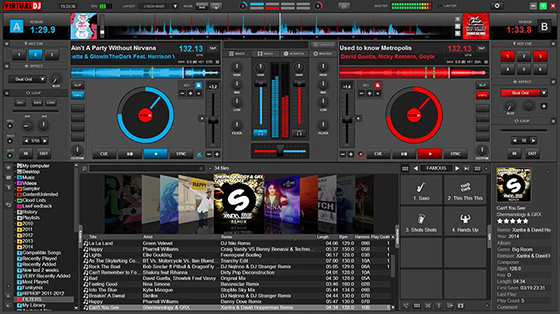 Virtual DJ Free is reliable free sound recorder software that will allow you to record different types of sounds from different platforms. There are some interesting features and you will get everything free. you will see how the sound has been recorded. It will allow you to adjust the output so that you can record the sound according to your desires. Once the sound is recorded you can check the finalized results to see if it is working properly. It is commonly used by DJ to create a sound list. It is perfect for windows 10. Make sure that you select the sound recorder software you are most comfortable with. You have to check their features and functionality carefully to assure that you will work with the best. However, Free Sound Recorder is highly recommended. The software has been developed with such amazing features that you will find nowhere else. 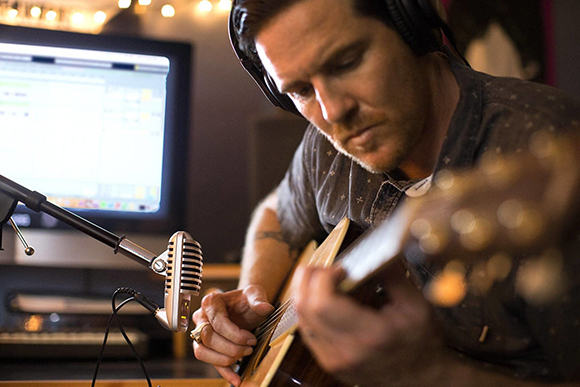 The moment you will start using the product you will know that how easy it gets to work on different recordings. With the Free Sound Recorder, you will get the satisfaction of excellent work. Every time you record something you will get the best results.